Smartly experienced with highly qualified team with a sole emphasis of “Durability,Strength,Quality,safety with Beauty” since 2006, Havenstarskdecors India Pvt Ltd is already a name to reckon with.Specialized in different fields,Havenstarskdecors India Pvt Ltd offers a wide range of collections like UPVC windows & door works to our esteemed customers. With our exclusive office located at Deshubandhu nagar,Dodda bommasandra arch road, near Kabir gnana mandir, Bangalore---- we got a team of qualified decorators and craftsmen who are masters at their work. Going along with the changing times, we're determined to provide the best and thrive for being perfect. 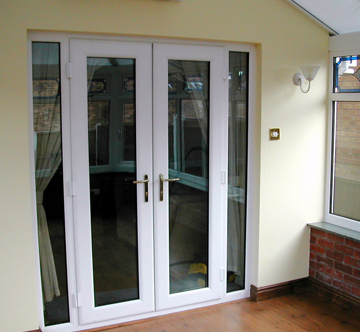 We supply doors and windows from the most recognized manufacturers and you can see the stamp of quality all around. Wide range of classy and elegant designs with the touch of beauty is what you'll find at Havenstarskdecors India Pvt Ltd. Be it be your home or your office, we can take care of it as per your requirements. Along with specialized Doors and windows, we do Interior decoration, lighting decoration. From royal and rich to cool and calm, we decorate your space which will lift your mood any given time. We provide products at affordable price and plan it according to your budget. Our staffs are always ready to assist you in taking through your designs and we decorate it. "Havenstarskdecors India Pvt Ltd" is always ready to give you a range of gorgeous looking windows,doors & partitions,insulating against noise,pollution,rain,dust & effective cost at your Budget.Install them at your required place & feel the comfort that can withstand India's extreme climatic conditions. Our best team provides you with quality innovative service - never compromising with QUALITY & TIME.